TOWNEND Florence Alice Gwendoline (Florrie). Peacefully in Handford House Nursing Home on April 7, 2019, aged 95 years, wife of the late Clifford, dear friend, auntie and great auntie. 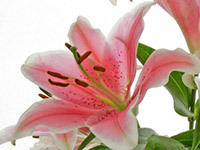 Funeral service at Ipswich Crematorium on Wednesday, May 1, at 11.45 a.m. Family flowers only please but donations for Stepping Stones Play and Learn Group or St Elizabeth Hospice may be sent to Farthing Funeral Service, 650 Woodbridge Road, Ipswich, IP4 4PW.